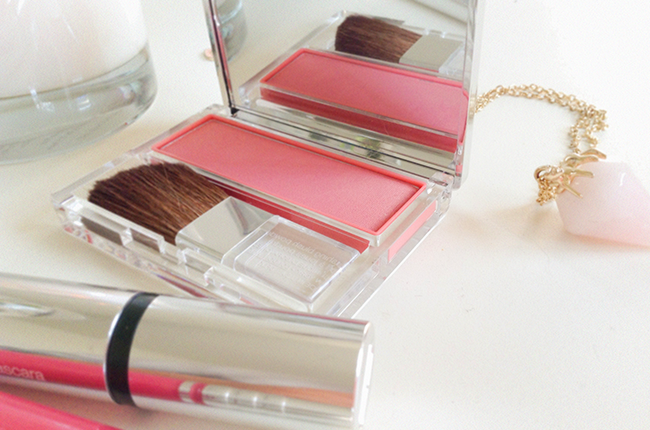 Coral is probably my favorite color when it comes to makeup products, well at least in the spring and summer. I'm rebuilding my makeup stash for the warmer days and I've added some more new Clinique goodies in there! Let's start with the Blushing Blush Powder Blush in shade Precious Posy. The color is absolutely stunning - it's bright coral with fine golden shimmer and it's just one of the prettiest blushes I have ever seen. 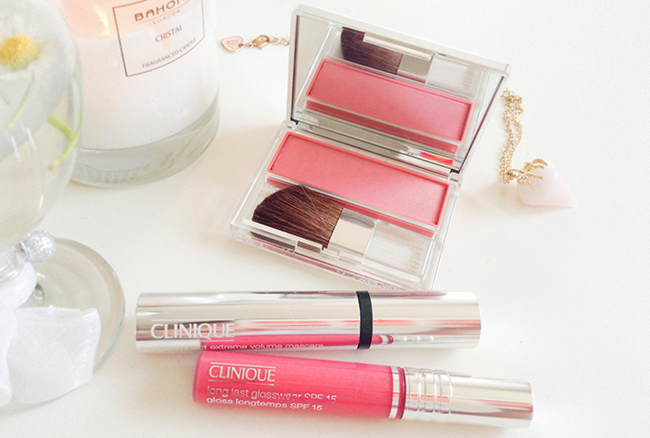 It's bright, very pigmented, illuminating and just makes the cheeks glow! Usually I only go for matte blushers, but after trying this... not anymore! 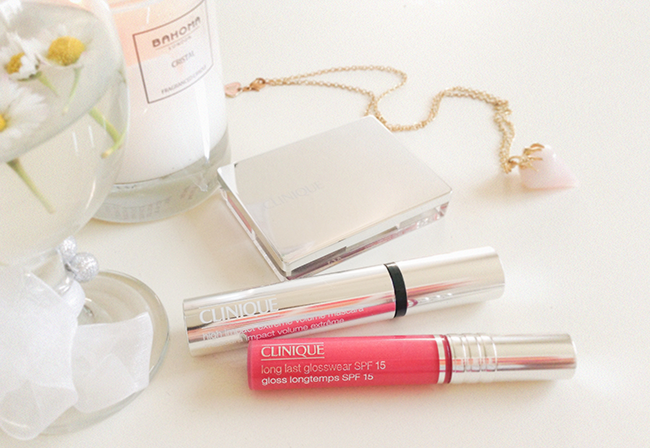 I also got a coral shimmery gloss - Long Last Glosswear with SPF 15 in shade Cabana Crush. The color is also really pretty and summery and I love how long it stays on the lips. Along with the blush and lipgloss I got High Impact Extreme Volume Mascara in Extreme black. I have short and thin eyelashes so I don't expect wonders from any mascara, but I like it to be very black, because I feel like some mascaras aren't just black enough.. Does that makes sense? Anyways, it's true what it says on the packaging - it really is extreme black and I love that. It also gives great volume and length. 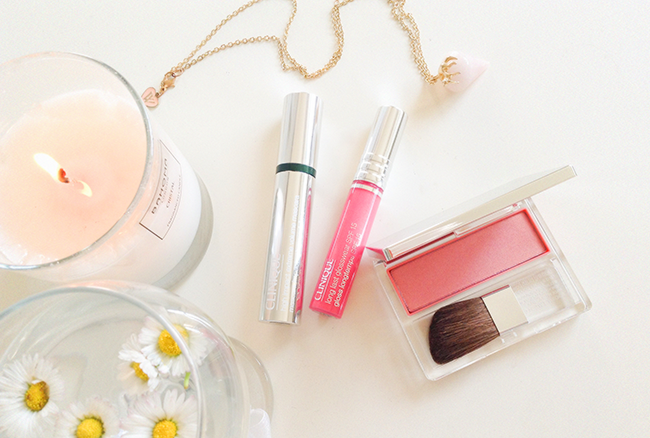 I love me some great products like these, and I love it even more when the packaging is so gorgeous! It's so chic and sleek, isn't it? I am always obsessing over your photo's, they are so so lovely! 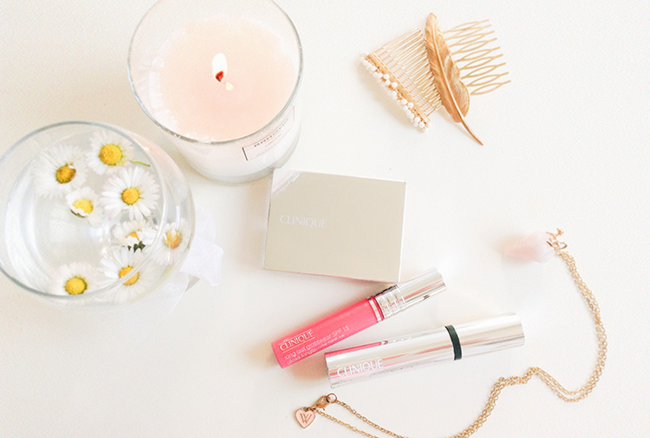 The vibe you are creating is just perfect :) Coral is also my favorite color and these products look just perfect! Your whole entire blog is amazing. Around a year ago I randomly came across your blog and i instantly fell in love with everything (images,colours & layout etc.) and bookmarked it. Thank you so much for sharing this, you just made my day!! 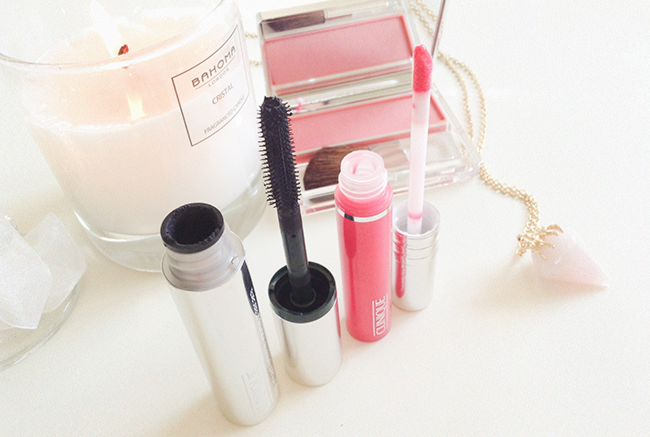 Lovely things about make up! love this post! soo summer! such gorgeous colors! Beautiful pictures! The blush looks amazing! LOVE your picks! Coral is so flattering and sweet. Really cute makeup look ! so nice photos!) love your beauty posts!